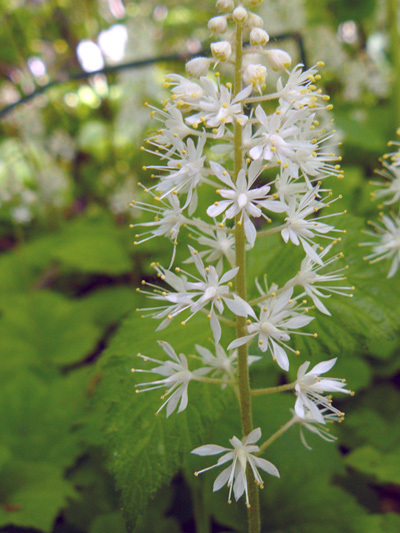 When flowering you can't miss the Heart-leaved foamflower with is high scape. The flowers, when full grown have a foamy look. As most individuals show's yellow anthers some display's crimson one's.